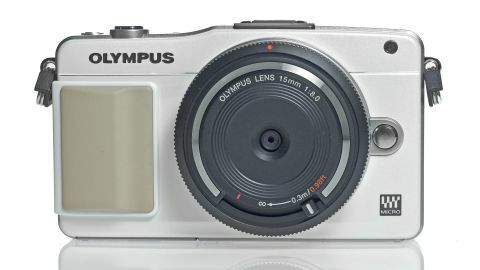 Olympus launched both the new PEN Mini E-PM2 and the PEN Lite E-PL5 at Photokina 2012. Both share a lot of similarities, most notably the same 16.1 million pixel sensor and TruePic VI processor that have been taken from the highly acclaimed Olympus OM-D M5. The two new cameras replace those at the bottom and middle of the Olympus PEN lineup, with no replacement for the higher Olympus PEN E-P3 just yet. Since the cameras have the same sensor as the Olympus OM-D, image quality should be the same, but with the advantage of much smaller bodies, especially with the Olympus PEN Mini, or Olympus PEN E-PM2. The Olympus PEN Mini E-PM2 is one of the smallest compact system cameras (CSCs) currently on the market, having fewer dials and direct access buttons than the Olympus PEN Lite E-PL5. It also doesn't have a tilting screen, but unlike its predecessor, it is touch-sensitive, and capacitive. This sensitivity doesn't extend to an on-screen menu in semi-automatic and manual modes as it does on the Olympus OM-D, but it can be used to set the autofocus point or trigger the shutter release. When using the camera in fully automatic mode, the touchscreen can be used to access the Live Guide menu. Unlike the Olympus OM-D, neither this nor the Olympus PEN E-PL3 have an electronic viewfinder, but there is a port for connecting an optional extra EVF should you find you need one. Both Olympus and Panasonic claim that their cameras have the fastest autofocusing speeds in the world. Speeds of 0.1 seconds have been quoted for the new PENs. Anyone who has used an Olympus CSC before will know of the company's love for digital art filters. The new PENs contain the widest selection yet, with 12. There are several here that weren't found on its predecessor, including Cross Process and Key Line, along with others that have been around for longer, such as Pop Colour. Art filters can be used on both stills photographs and when shooting HD video. Olympus, along with Panasonic, uses the Micro Four Thirds format for its compact system cameras. This uses sensors that are smaller than the APS-C devices currently found on the Canon EOS M, Sony NEX-5R, Samsung NX1000, Fuji X-E1 and other CSCs. Although there are downsides to using a smaller sensor, it does mean that these cameras, and their compatible lenses, tend to be a bit more compact. Because the Micro Four Thirds format has been around since 2008, it currently has the biggest range of proprietary optics. And, since Panasonic shares the format, lenses from both companies - and third parties such as Sigma - are compatible with PEN cameras. Despite its smaller size, Olympus claims that the sensor technology inside its cameras is class leading and capable of taking on those with larger devices. We'll find out if that's true in our labs tests. Other interesting specifications of the Olympus PEN Mini E-PM2 include sensitivity capability up to ISO 25,600, Full HD video recording and 8fps shooting. The Olympus PEN Mini E-PM2 is priced at around £499/AU$579.99/US$599.99 with a 14-42mm kit lens.